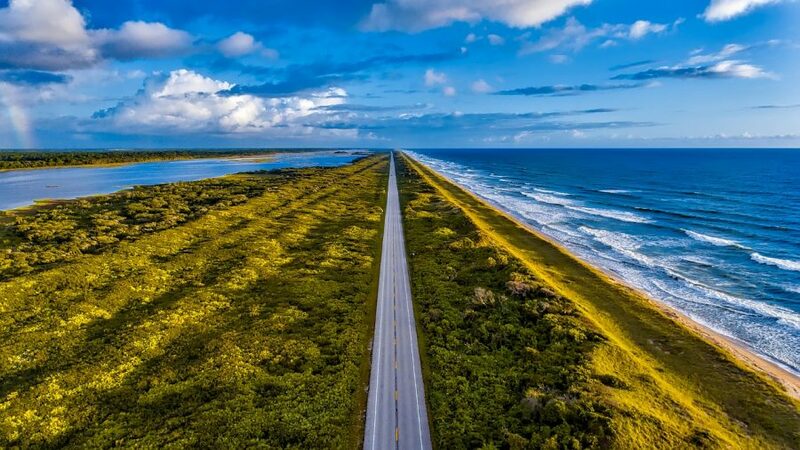 Ownership of an Airstream trailer or an RV travel trailer can provide you one of the most adventurous and enjoyable ways to travel across the country and see all of the natural beauty that the United States has to offer. 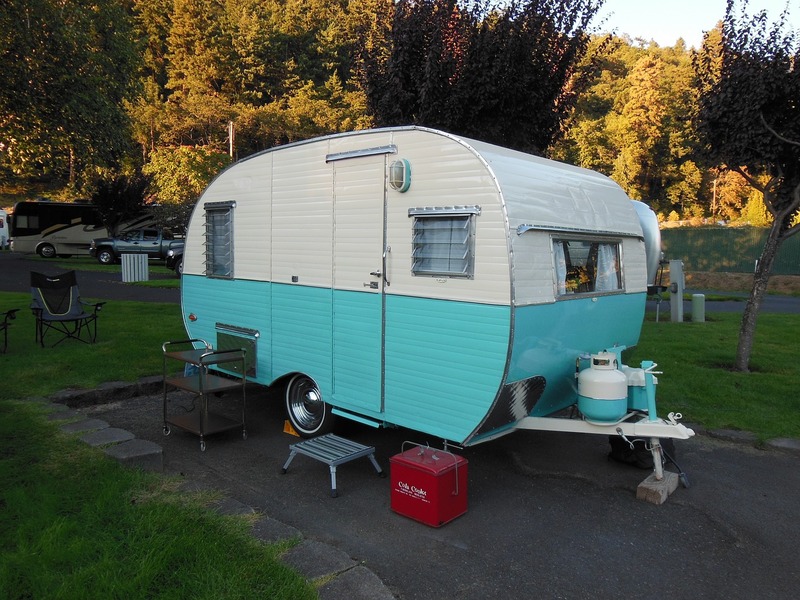 However, the purchase of an Airstream or RV travel trailer is a major investment that needs to be protected against possible damage and total loss. 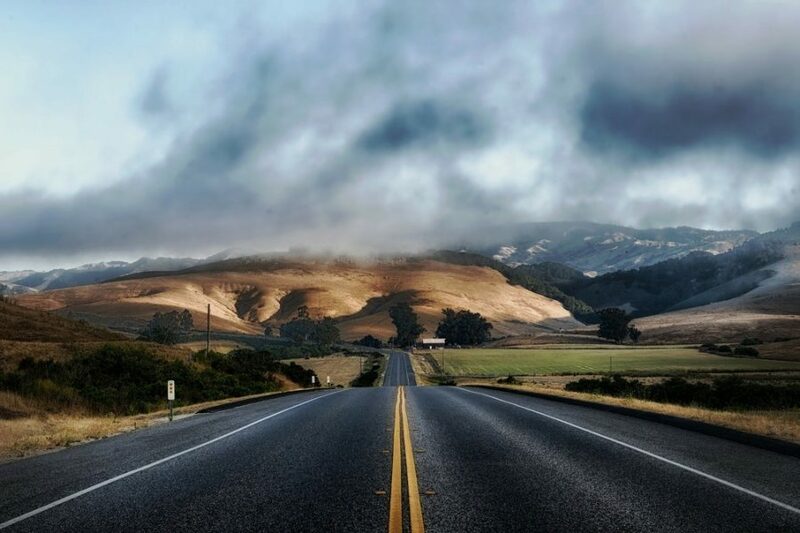 The best way for you to provide this protection is to buy yourself a solid insurance policy that will cover most of the possible losses you could encounter as you travel down the road. When it comes to purchasing an insurance policy, it helps to know the major things that you need to protect. The following items will discuss most of the factors you need to consider when purchasing an RV insurance policy. When purchasing RV insurance, you are often presented with the decision of having to choose between getting a policy that will just pay you the actual value of the trailer or will pay you the full replacement cost of the Airstream. While insurance that pays the full replacement cost usually is more expensive, it is often worth it because it will pay you a set amount in the event of a loss without any depreciation costs that could reduce your final payment. In addition to considering if you want to get a policy that will pay for the replacement costs of your RV, you will want to look at getting an insurance policy that provides you with adequate protection against any liability that you may incur if you have an accident that is your fault while towing your Airstream trailer. 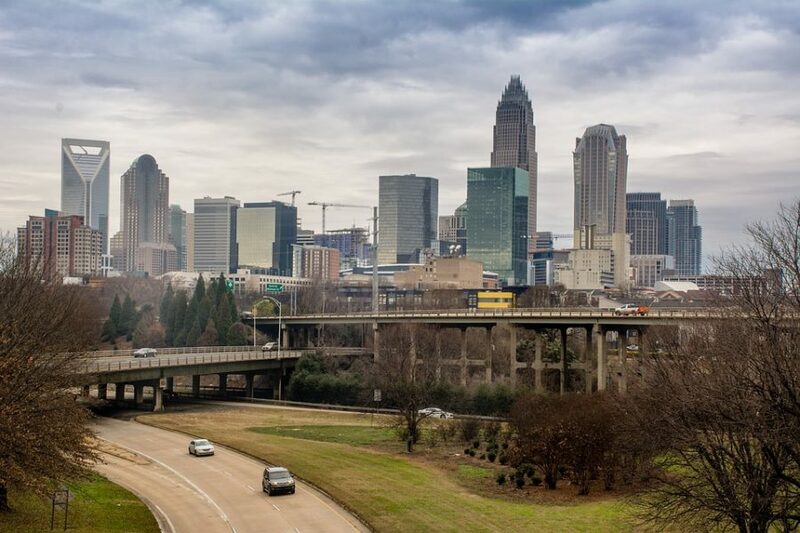 While a minimal amount of liability coverage is required in most states, it is a good idea to purchase as much liability insurance as you can afford to protect yourself and your assets from a possible lawsuit. As you move your Airstream or RV travel trailer from one place to another, awnings and attachments are items that often get damaged by hanging tree branches and other obstacles that you encounter. As a result, you need to consider purchasing an insurance policy that will have coverage to provide for the replacement or repair of your awnings and other attachments. 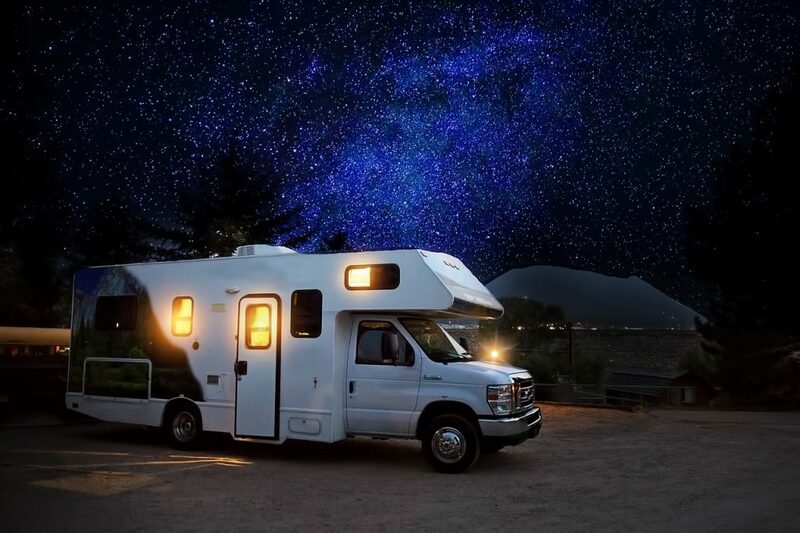 If you are one of the growing number of people who live in their RV throughout the year, then you will want to consider purchasing an insurance policy with Full-Timer Coverage for your Airstream. This coverage combines the best features of auto insurance with some features found in homeowner’s insurance to provide the most comprehensive protection possible. Not all insurance companies will offer you this coverage, so you should shop around until you find one that does or else you will find yourself having to piece together a hodgepodge number of coverages to fully protect yourself. 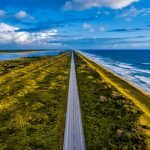 Besides Full-Timer Coverage, Uninsured Motorist and Roadside Assistance Coverages are things that you will want to protect you in case you are hit in an accident by someone who doesn’t have insurance or if you break down on the side of the road and require assistance in repairing your Airstream. 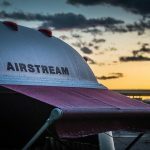 One final thing to remember when purchasing insurance for your Airstream or RV travel trailer is that it can never hurt to have more coverage than you think you will need. A more comprehensive insurance policy, like those offered here, will always provide you a peace of mind that you can handle any situation that may arise while a policy that doesn’t have enough coverage could leave you in a seriously damaging financial situation. When Tyler Wright finished his studies at Columbia, he like many other graduates, decided to stay in Manhattan to pursue his career in finance. After 5 years of grinding away at one of the largest hedge funds on Wall Street, Wright grew tired of the exorbitant NYC rent, long hours at the office, and the oppressive feeling that he was always struggling to keep up with the rat race. So at 28, he hired New York City movers to put all of his possessions in storage, bought an Airstream, and took his life on the road. 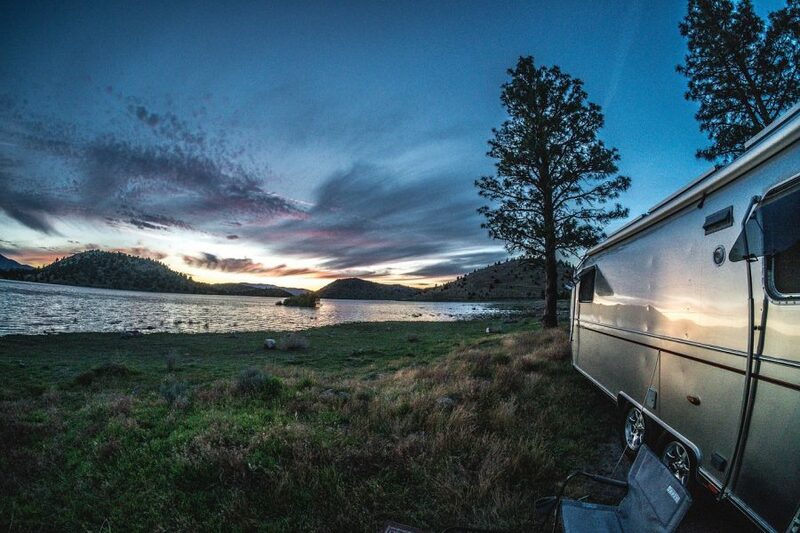 Now 6 months into a year-long journey, he shares with us the perks of living full-time in an Airstream. Wright was used to a fast-paced life in the big city, but found he was often tired and stressed between his demanding job and busy social calendar. Now, after touring the U.S. for the last 6 months, he feels like, for the first time in his life, he’s had time to think and relax. 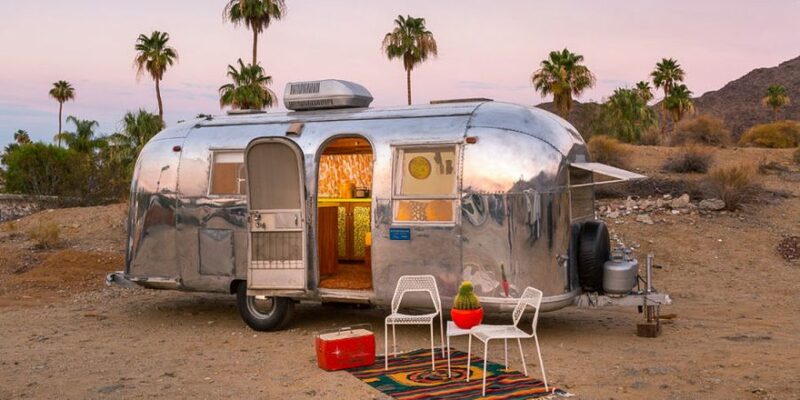 While most people might think the typical Airstream dweller is a retired Baby Boomer, increasingly, Millennials like Wright are discovering the perks of Airstream life. There are numerous stories like Wright’s of Millennials who grew weary of the corporate life and traded it in for a silver bullet on wheels. 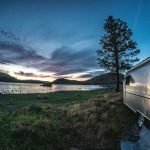 For this new generation of RV buyers, a year or two spent traveling on the highways and backroads of the American landscape gives them the space and freedom to think about what they want out of life, unlike generations past who were tethered to the same jobs for the majority of their career. Wright says he likely won’t go back to the cut-throat world of finance. 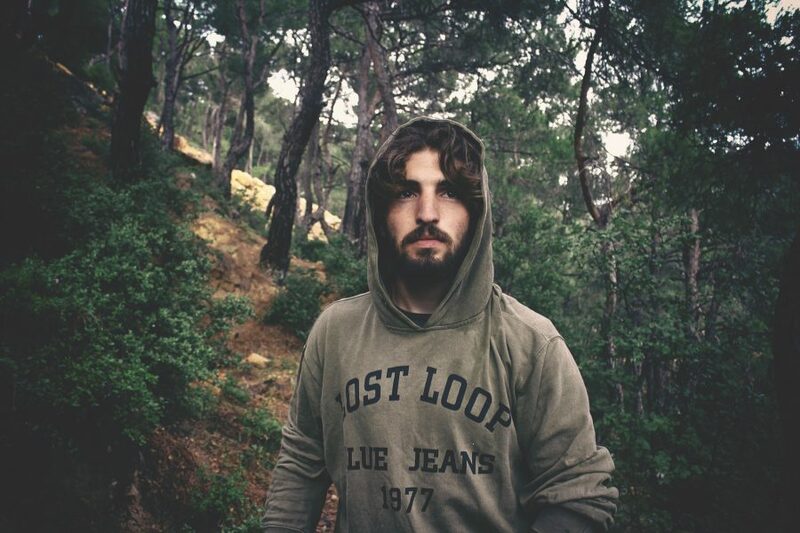 Over the past few months, he’s been tinkering with ideas for a new start-up, a dream he hopes to pursue full-time when he decides he finished with his travels. 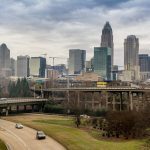 Wrights says one of the most unexpected, but welcome findings of his new life, is the large community of fellow travelers with whom he has made friends. When he started this trip, he thought he might be lonely coming from the overpopulated island of Manhattan. 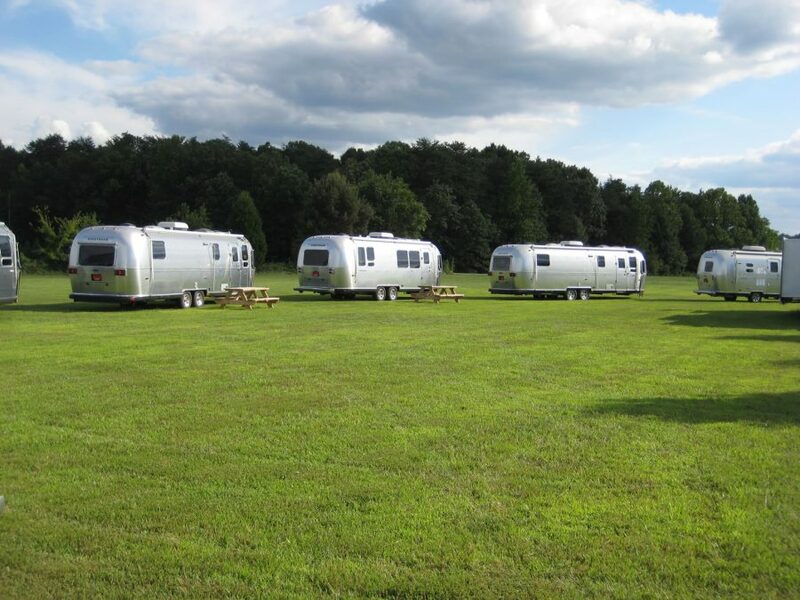 However, before he even left, he found Air Forums, a place where Airstream enthusiasts come together to share advice on everything from how to properly level a trailer to where to find a free place to park for the night. This online community was integral to Wright gaining confidence and comfort with the logistics of hauling an Airstream and setting up camp. Additionally, he says he’s met a whole slew of people so far on his journey, both young and old. “Fellow campers are incredibly friendly; at most of the campsites where I’ve stayed, there’s usually at least one person who will invite me over for drinks around the campfire, and sometimes we’ll even share a meal and swap stories about the road.” During his third month of traveling, Wright came across some travelers his age who were likewise spending a year on the road. He plans on meeting the group in California to hike Mount Whitney later this fall. Wright purchased a 16-foot Airstream Sport trailer, the luxury brand’s smallest and most affordable model, which is easily towed by his Chevy Tahoe. 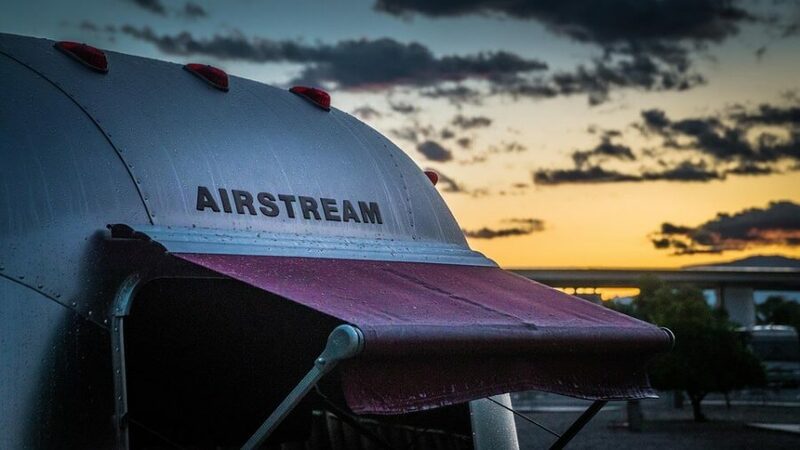 Ever the financier, he saved a two-year runway before quitting his Wall Street job, but he’s finding that living in an Airstream is even cheaper than he imagined. Wright’s studio apartment in TriBeCa cost him upwards of $3,000 a month, in addition to an expensive lifestyle of eating out and frequenting trendy bars. Now his monthly expenses are less than a third of what they previously were. 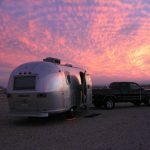 Thanks to one of the Airstream forums, Wright found out about the common practice of boondocking, or camping for free on public land. He does this about 70% of the time, which means he avoids having to pay for a campsite most nights. Other than that, he just has to pay for food and gasoline. He keeps meals simple, doing most of his cooking over the campfire or grill. Gas prices have been low this year, thanks to the drop in the oil market, so he hasn’t spent nearly what he originally budgeted for fuel. In the end, Wright thinks he could stretch his savings for a total of three or four years. 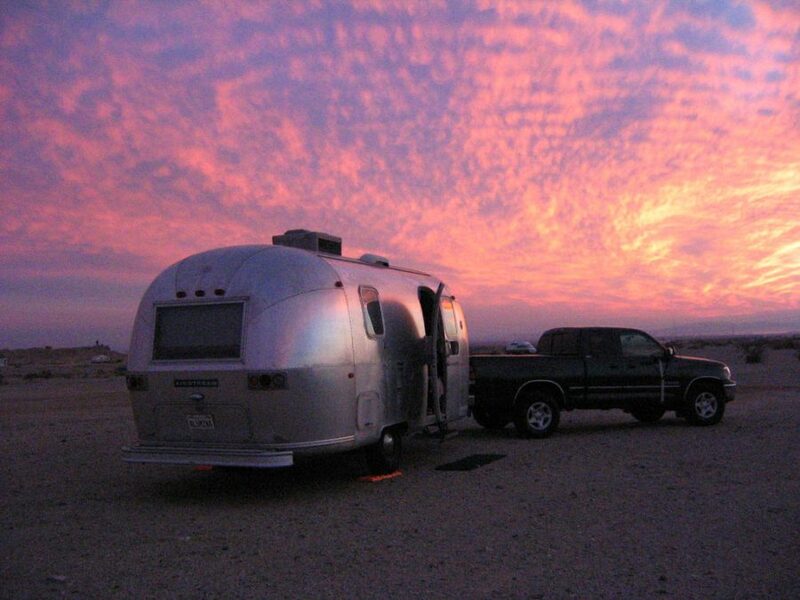 Additionally, Airstreams retain their value well, so if he decides to resell it at the end of his journey, he won’t lose much on the original purchase. Finally, what Wright enjoys most about his new life is his ability to pick up and go wherever he wants, whenever he wants to. He loves the unparalleled freedom and flexibility of his new lifestyle. With all of his things on wheels, he never has to worry about breaking an apartment lease or trying to find an affordable moving service. If he gets tired of one location, he just hitches up the trailer and moves on to the next spot. His favorite stops so far? “I headed West when I left New York in February, and made it to the coast by April. I spent a week backpacking around Yosemite National Park, which was just as breathtaking as I had imagined. Then some buddies flew out and met me for a long weekend of camping up in the Redwoods. That was pretty memorable.” Even with 6 months under his belt, Wright says there’s still a lot of the U.S. that he wants to see.